The implication of condition subjected to individuals who have been accused of necessitating immense crimes has emerged as a great concern to the government as well as community at large. At this juncture, the victims are observed to suffer from physical, emotional, mental and psychological as far as their safety and protection is concerned. Indeed, some of the damages which they obtain while in the hands of the government are hardly to recover. For instance, there is confidential information from witnesses and families of the victims indicating that various injuries have been threatened or inflicted to them (Yamagata& Butts, 2006). The theme of this paper is aimed at providing evidential information indicating the lawful actions of the government in the tour of offering safety and protection to juvenile and female offenders. Foremost, the government in USA has launched programs aimed at addressing female offenders who require obstetrical and/or reproductive services. For example, The Women’s Transitional Center (WTC) is deemed as a comprehensive, society-based correctional program aimed at serving adult ladies who are victims of crimes. This program is designed to aid the victims particularly those with reproductive issues to be transferred to their community as well as offering a cost-effective unconventional to incarceration. It also provides residents with a full-range of chemical dependency medication, correctional programming, employment skills and life tactics advancements hence enabling them to attain revenue for catering for their extra needs linked with medication. Similarly, this program is furthermore viewed to campaign for provision of favourable living condition for female offenders who are in critical condition thus hindering chances of worsening their health condition (CAUFFMAN, FELDMAN, WATHERMAN& Steiner, 2008). Moreover, the administration has also purchased Community, Counselling and Correctional Services, Inc (CCCS) and renovated previous dilapidate female offenders buildings to its present use as a society-based correctional tool. In connection to this, by June 1992, it was confirmed that WTC had begun to offer services as a pre-release center deemed for female criminals. This building is contained with a capacity of sixty beds as well as the provision of correctional programming, educational opportunities and security oversight to these victims as they shifts from either the federal or state system (Yamagata& Butts, 2006). On the other hand, the government is also doing its level best to protect juvenile offenders from being subjected to turf punishments and harsh conditions. During the past few years, there have been immense Americans who have been arguing that juvenile offenders are supposed to be handled in special care rather than criminals. With regard to this, the government has firstly opted to be rehabilitating these kids rather than subjecting them to punishment since this can gear them to become hostile and more dangerous criminal due to be punished hardly. Apparently, when criminals are viewed to be twelve years old or younger, then they should be viewed as juvenile delinquent and therefore they should be tried in Family Court (Snyder& Sickmund, 2006). However, juvenile courts have been provided with discretion to take kids from their homes, that is, children can be placed in group, foster homes or under single shelter where it will be easy to advice or discipline them to become good citizens. Otherwise, there are some cases where parental rights can be terminated, though judges have to decide on ‘delinquency’ and ‘neglect’ cases. In particular, if judges observe a juvenile as a delinquent then the child could be placed on probation or being incarcerated in training school, ranch or group home or forestry camp (Snyder& Sickmund, 2006). I as a legal researcher is of the strong opinion that India has to emulate the USA juvenile-female offender’s policies in the interests of equity and justice. CAUFFMAN, E., FELDMAN, S., WATHERMAN, J., & Steiner, H. (2008). Posttraumatic stress disorder among female juvenile offenders. Journal of the American Academy of Child & Adolescent Psychiatry, 37(11), 1209-1216. Poe-Yamagata, E., & Butts, J. A. (2006). Female offenders in the juvenile justice system: Statistics summary. DIANE Publishing. Snyder, H. N., & Sickmund, M. (2006). 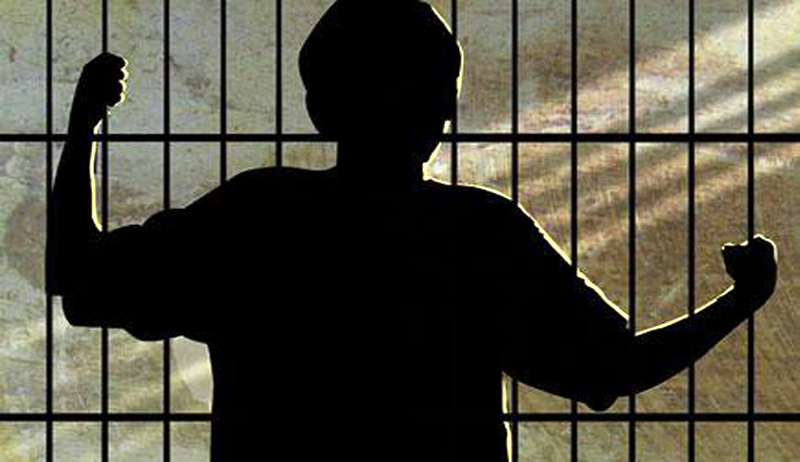 Juvenile offenders and victims: 2006 national report. Office of juvenile justice and delinquency prevention.